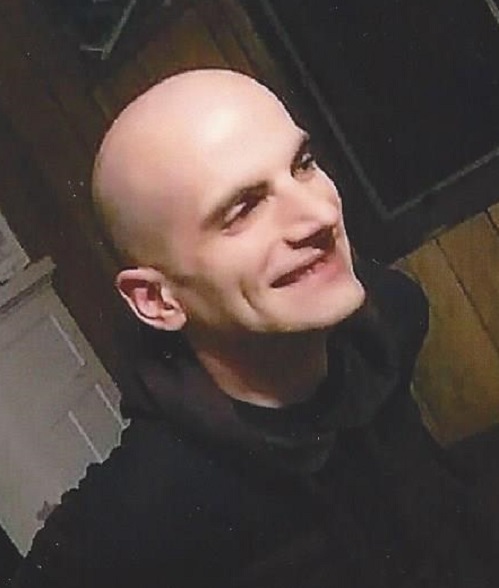 Andrew Vincent McGeehen, age 32, of Berlin, died unexpectedly from an automobile accident on Thursday, March 28, 2019, in Berlin. He was born April 30, 1986, in Winchester, IN, the son of Arthur and Becky Wiist McGeehen. On December 10, 2009 he was united in marriage to Shannon Henriksen. Andrew worked in tech support at Generac Mobile Products in Berlin. He loved playing his guitar and video games, but was most known for being an avid, deep thinker. He is survived by his wife, Shannon; two daughters, Caoilfhinn Sue and Zlaina Alessa; two brothers, DeWaine (Abby) McGeehen and Derrick Doll; three sisters, Amanda (Dustin) Goble, Michelle (Nick) Slatten and Carley Doll (significant other, Phillip); dad, Nevin Doll; and 36 nieces & nephews. Andrew is further survived by Shannon’s family: parents, Peggy & Bill Pongratz and Alan & Becky Henriksen; brothers, Jamie (DJ) Henriksen and Derek (Nikki) Henriksen; sisters, Sara (Josh) Heine, Elizabeth Henriksen and Amber Henriksen; grandfather, Pat Dodd; and pets, Oscar & Butler. He was preceded in death by his parents; grandparents; brother, Arthur Jr.; and brother-in-law, Devan Beal. Visitation will be held on Monday, April 1, from 4:00 p.m. to 7:00 p.m., at Barbola Funeral Chapel in Berlin. Thurman Funeral Home is Honored with assisting the family with the obituary.